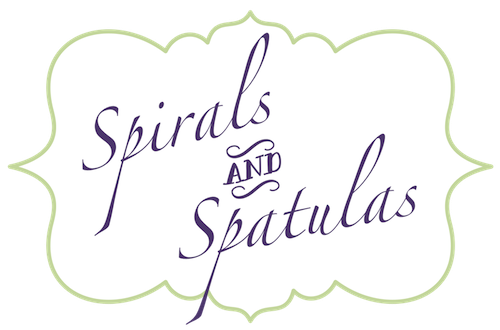 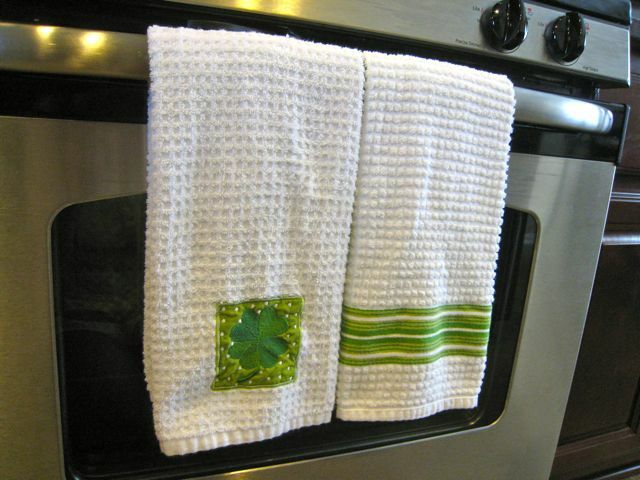 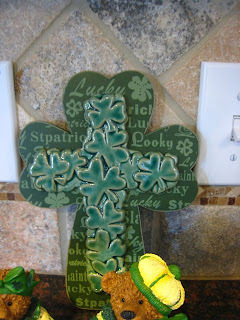 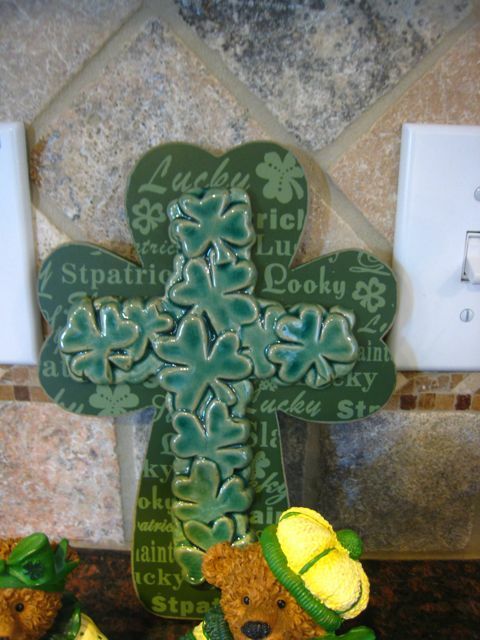 Spirals & Spatulas: Spreading a Little Irish Luck! 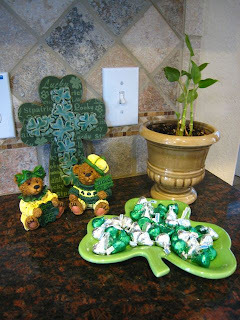 I did a little bit of St. Patty's Day decorating! I'm half Irish, so of course I can't let March 17th go by without some festive decor! 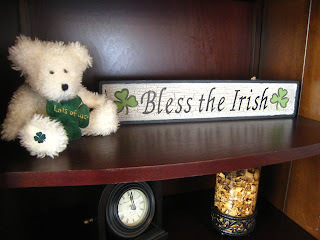 Last April, I found a ton of St. Patrick's Day merchandise 80% off at Hobby Lobby, so most of what I have came from there! I seem to decorate this corner of the counter for every holiday. 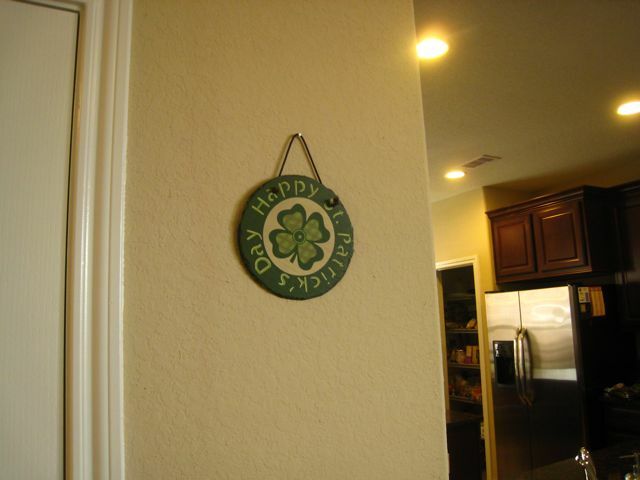 It's just such a cute little spot! 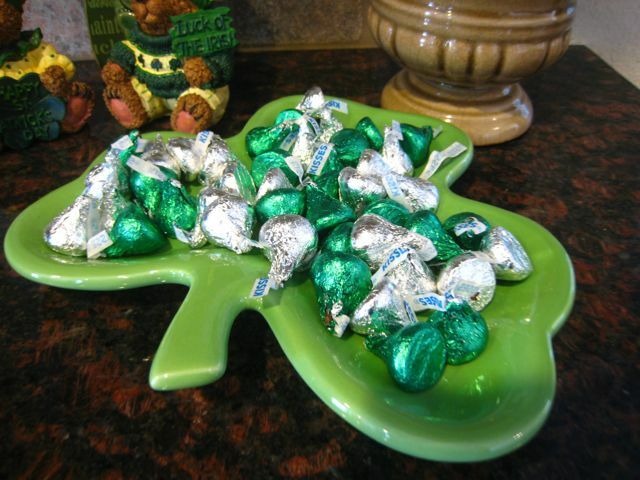 The great thing about Christmas Hershey kisses is that you can use the leftover red ones for Valentine's Day, and then use the leftover green & white ones for St. Patrick's Day! 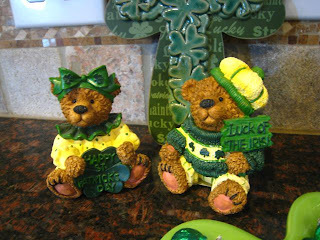 I love these little bears... I got them for like 80 cents each or something like that!